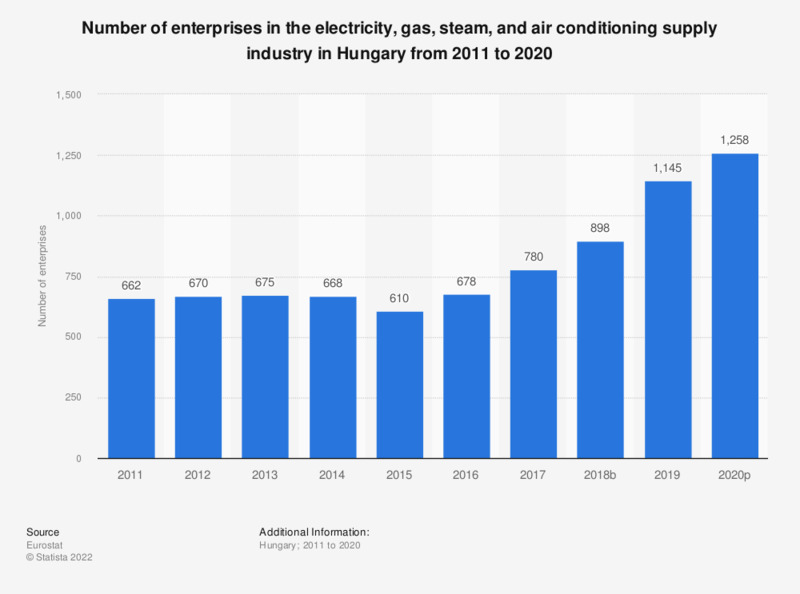 This statistic shows the number of enterprises in the electricity, gas, steam and air conditioning supply industry in Hungary from 2008 to 2014. In 2013, there were 675 electricity, gas, steam and air conditioning supply enterprises in Hungary. Data corresponds to code D of the NACE_Rev2.